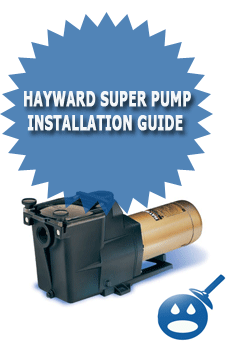 This guide will help you install the Hayward “Super Pump” Line of pumps for both in-ground and above ground pools. If you are handy and used to working with tools, you may be able to install the pump yourself in a short amount of time. Another option is that you could call a swimming pool company to come and install the pump for you if you are uncomfortable working with tools and pumps. Depending on if you have an in-ground or above ground swimming pool will determine what exact tools you will need and how the super pump will connect to your pool. Below you will find sections that will help you install the Hayward Super Pump in both types of pools with different types of plumbing. If you need any help after reading this installation guide, please leave your questions below. 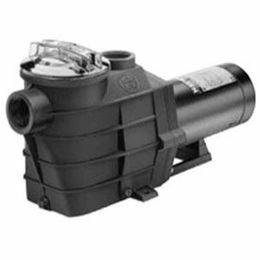 You are going to need some tools to remove the old swimming pool pump and then to install the new Hayward Super Pump onto your above or in-ground filter system. You will need a pair of large sized channel lock water pump pliers, a flat head screwdriver, you also will need a PVC saw to cut the PVC pipe, some Teflon tape and you may need some plumbing fittings depending if you will need to adapt the new pump to the plumbing. If you are replacing a super pump with a new super pump you probably won’t have to worry about making plumbing modifications, but if your old pump is not a Hayward you may need to change some of the plumbing. Another thing to look for before you decide to install the pump is to make sure that you have unions in the plumbing. 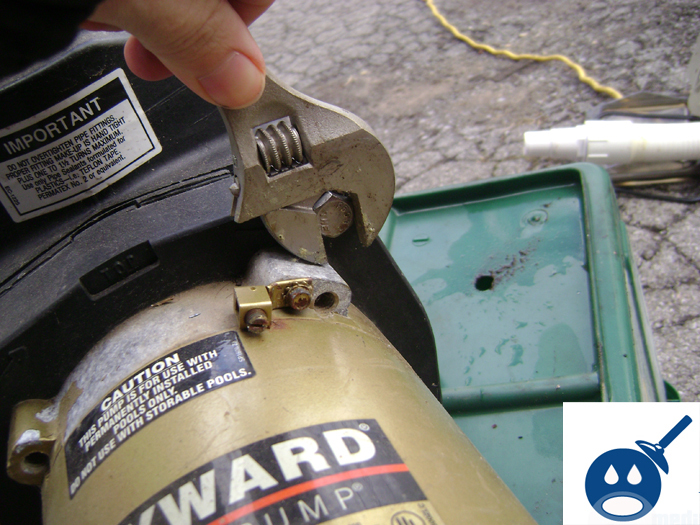 Unions will allow you to separate the pump from the pluming easily. (Explained below) If you do not have unions in your swimming pool plumbing system, you will need to cut the pipe and then plumb them in with some glue and primer if you have PVC plumbing. If you are installing the super pump in place of an existing super pump you may only need a male adapter, or even a union fitting. If you are installing the pump for the first time you might need not just a union, but you may need some elbows, 45’s and off course you will need Teflon tape and some PVC glue and primer. If you need to install the Hayward Super Pump onto your above ground swimming pool then you will need 2 cone adapters and also a flat head screwdriver to tighten the hose clamps. If you have an old pump you will want to screw the cone adapters out from the old pump, then you will want to re-Teflon tape them, then you will want to tighten then into the new pump. There will be two cone adapters needed, one for the suction side of the pump(front), and one for the discharge side of the pump. (Top) Once your cone adapters are in your new pump you now can slip the hoses and the hose clamps onto the cone fittings, then you will want to take your Flathead screwdriver and tighten the hose clamps down. The suction side (front of the pump) will hook up to the skimmer on your pool. So take the hose and connect it to the skimmer and then to the front of the Hayward super pump. You then will want to take the other hose and connect it to the top of the pump and then onto the return jet on the side wall of your pool. Once connected both hoses you can prime the pump and then start the filter system up. 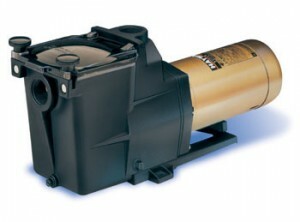 If you want to install your new super pump to your existing in-ground swimming pool filter system, you will first need to remove the old pump. Hopefully you will have unions installed in the plumbing so you can just loosen the unions and swap the fittings from one pump to another and then re-connect the pump, but this is not always the case. So what you will first want to do is to look at the plumbing and see if you can find a disconnect union in both the suction and the return(discharge) sides of the swimming pool plumbing. If you do in fact have unions, you will want to loosen them with your large sized pair of channel lock pliers(turning them to the right, which is counter clockwise), then you will want to remove the pump. Once you have removed the old pump you will want to spin the fittings out of the suction and return side, re-Teflon tape them, spin them back into the new super pump and then tightening them down into the pump housing. Once you have the fittings from the old pump installed into the new pump you now can bring the pump over to the swimming pool plumbing and reconnect the suction side and discharge side unions. You then will want to prime the pump (see below) and once you do so, you will be able to plug the pump in and start your filter system. Once you have the new pump all hooked up, the plumbing fittings all connect and then PVC glue has set for 12-24 hours you will now be ready to prime and start your new Hayward Super Pump. The first thing you will want to do is to get a bucket and fill it with water from the pool or the garden hose. You will then want to remove the top pump cover and pour the water from the bucket into the volute / pump housing of the pump. 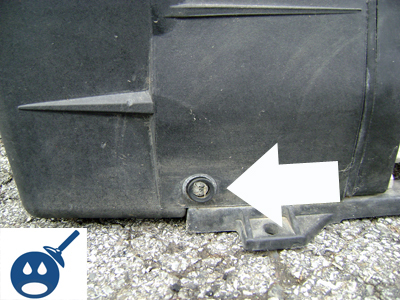 You will want to pour at least 2-3 gallons of water into the pump housing, you then will want to replace and re-tighten down the pump basket cover. Once you have added water to the pump housing and the cover is back on you can now plug the pump in and turn it on. You will want to make sure the pump gets full prime before you walk away and let it run unattended. The pump can take 30 seconds to 4 minutes to reach full prime. You will know you have full prime when you look through the pump cover lid and it actually looks like there is no water moving. (Will be totally clear) This means you have a 100% perfectly primed and running swimming pool filter system.